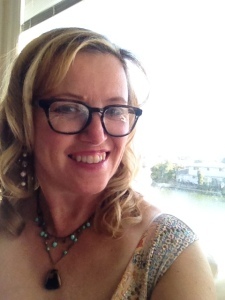 I am more than just blogging this week — I am sharing exciting contest news. 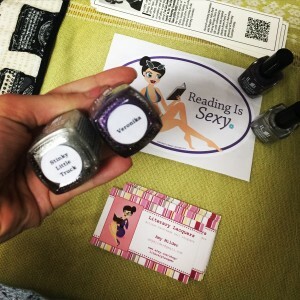 A couple of weeks ago I was minding my own business when a friend, Michelle Chouinard, who happens to be a popular nail polish blogger at Lacquer or Leave Her, somehow hooked me up with Amy Milder, who makes literary-based polishes at Literary Lacquers. Amy invented two beautiful polishes based on the story of my newest novel, Veronika Layne Has a Nose for News. The purple nail polish is rich and holographic, aka glittery in a grownup way. It goes on beautifully. My manicurist loved it. The purple is called…Veronika. Amy also designed a silver holographic polish called…wait for it: Stinky Little Truck, based on Veronika’s biodiesel truck. I had both polishes in hand Friday and tried them both. They are scrumptious. 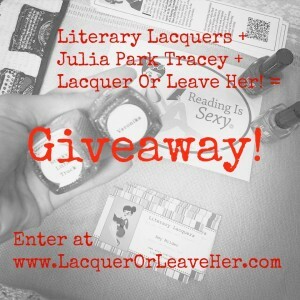 Here’s the link: a Rafflecopter giveaway . It turns out that my publisher, Booktrope, is having a pre-holiday sale on 200+ books, and three of my books are in that category. So all three (e-books, not paper or hardbacks) are on sale for… FREE. All three are free, this week only. Monday through Saturday, Nov. 9-14, FREE on Amazon. Download them now, today, for your own enjoyment. And just so you know, I’m participating in NaNoWriMo, and drafting #3 in the Hot Off the Press series — Veronika Layne Stops the Presses, slated for 2016 release. Expect sass, sensuality, a new tattoo, a vampire and monkeys with machine guns…plus deadlines and hot sweet love. All promo, all fun…and then back to my writing cave 🙂 Thanks for reading along.